Okay, this is it! 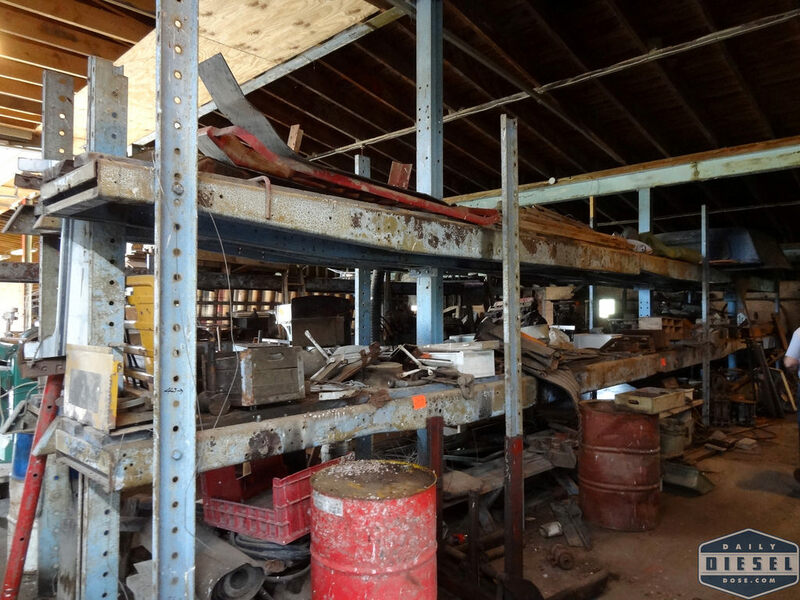 The very last posting EVER of Dobbins material…unless of course there is another auction in the future. 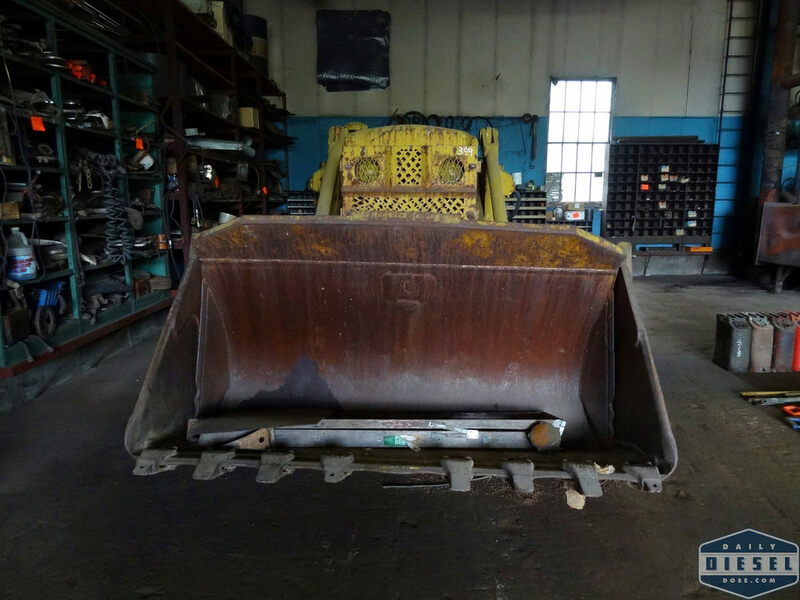 Lurking in one of the larger builders, suspiciously clean I might ad, this Allis Chalmers HD11G dozer with 3 in 1 bucket was waiting for its new owner. This massive piece of old iron is powered by an AC six cylinder diesel and looked intact in all major departments. The batteries were missing preventing anyone from starting it up and accidentally crashing through the back wall of the shop and into the nearby swamp. 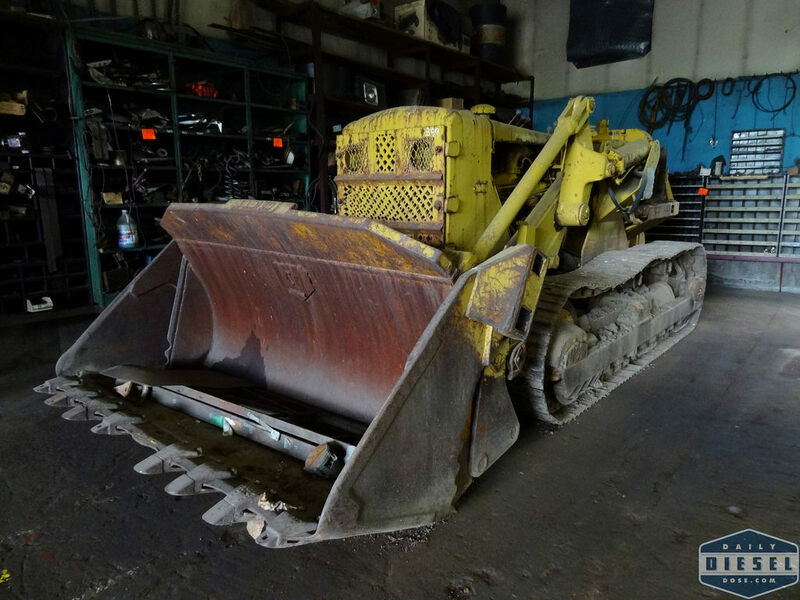 I think this would be a great machine to own but how exactly do you go about moving a dozer that doesn’t run? Put in neutral and push? Seems like one big machine requires another. Share if you know. Elsewhere in the shop, among shelves made out of old truck frames (?) another AC was looking for a home. When I first approached this dozer from the other side it was easy to mistake this lot of rusting metal for just that, a pile of rusting metal. 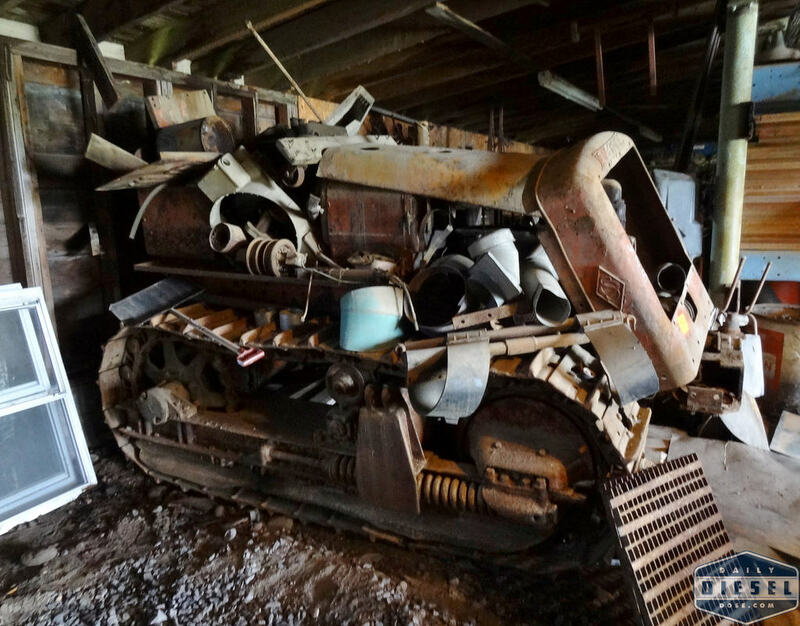 I could easily see someone bidding on this thinking it was nothing more than just a pile of sheet metal only to turn the corner and see the tracks of a very vintage machine. Did you notice that design on the hood? Not the typical AC logo. Speaking of this old HD11G, remember that HD21 from a few years back? Click here to relive! 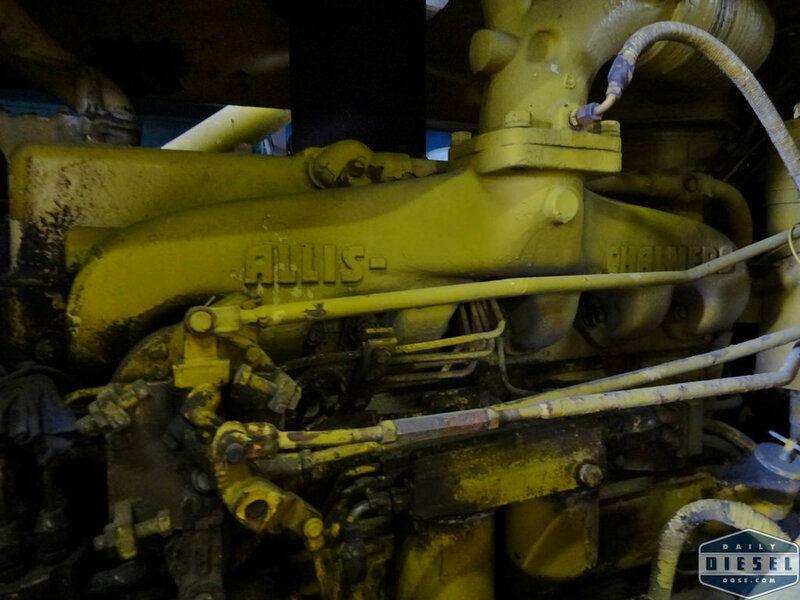 This entry was posted in Heavy Equipment and tagged allis-chalmers, dobbins auto parts, hd11G bulldozer. Bookmark the permalink.